Product code: W125 Categories: Sold Items, Sold Watches. 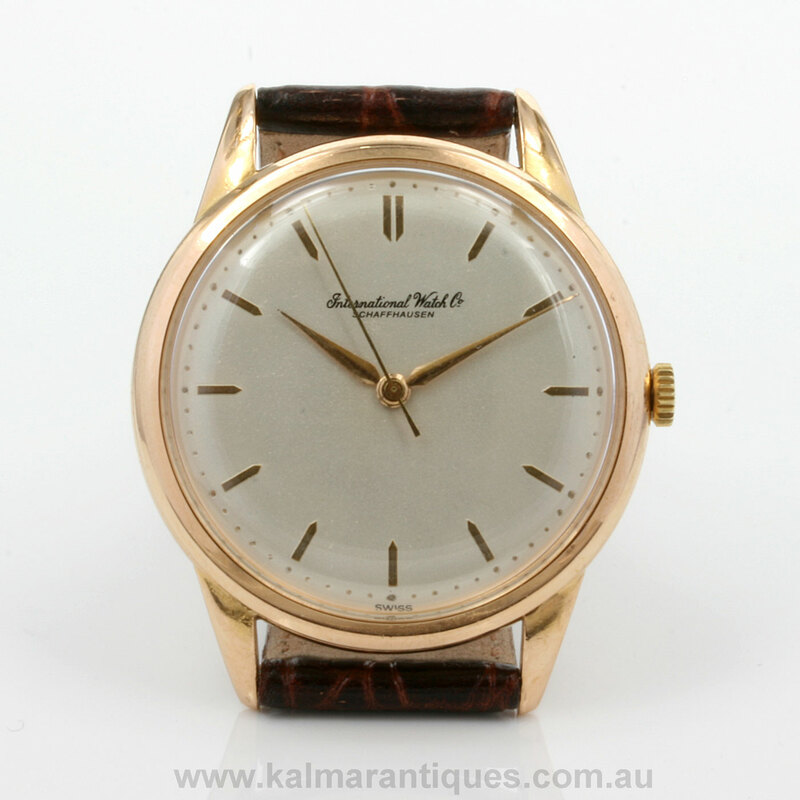 Here is a very elegant gents vintage IWC wrist watch dating from 1950 that has all the charm and character of a classic vintage watch that looks so elegant and smart on the wrist. IWC (International Watch Company) has long been regarded as producers of some of the best watches in the world and this one is absolutely gorgeous both inside and out. The case has been made in 18ct rose gold with the colour of the rose gold so soft and elegant and measures 35mm across plus the crown. 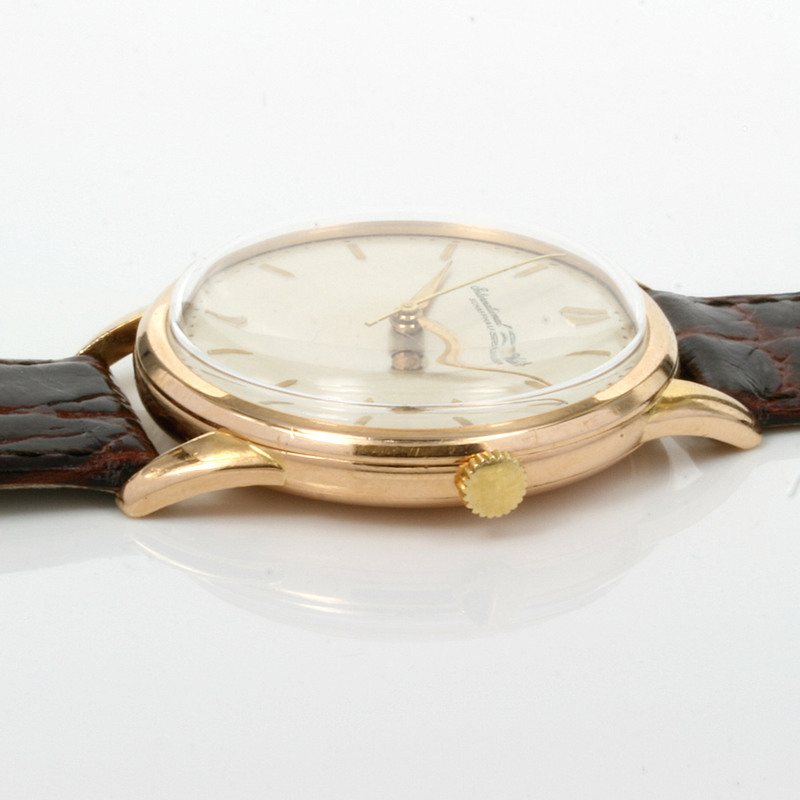 The dial has been expertly restored and looks amazing and still has the traditional IWC font. It wasn’t until the last 20 or more years that IWC changed from the fine font saying “International Watch Company Schaffhausen” and changed it to just the solid IWC letters. Inside the manual wind movement is the superb IWC calibre 89 that has been fully serviced and overhauled, runs perfectly and comes with our 12 month warranty. 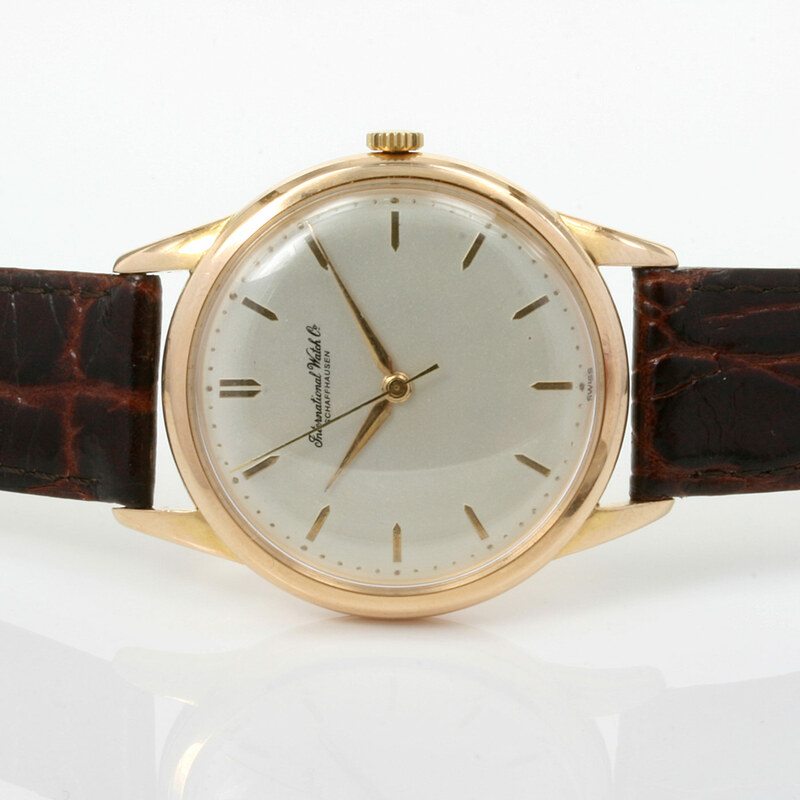 This vintage IWC watch would always look so elegant with any suit day or night and is a wonderful example of a classic solid gold IWC wrist watch.